Best Practice Network has a huge couple of months with two international speakers and major events around the country. 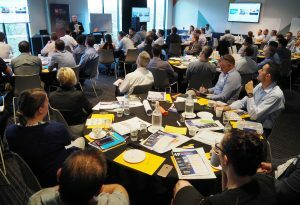 Leading international Lean speaker, Drew Locher will be headlining the 2018 Best Practice Network Summit and running interactive workshops on the Sunshine Coast, Sydney and Melbourne. Lean accounting expert, Nick Katko, has joined the summit and will be running a Lean Accounting workshop on the Sunshine Coast. Women in Operational Leadership – Special Interest Group – Red Cross Blood Service – Perth, WA – 8 February. Lean Supply Chain Lego Simulation – Gold Star Transport – Kewdale, WA, 21 March. So there is lots to choose from. Best Practice Network Members and TXM customers also enjoy fee attendance or substantial discounts at all events.